Japanese Computer Entertainment Supplier’s Association the organisers of the Tokyo Game Show, have shared that this year’s attendance for 2018 will be the largest one yet. The Tokyo Game Show 2019 is taking place on September 20th in Chiba near Tokyo. By July 3rd, according to dualshockers, the number of exhibiting companies has reached 366 with 2,166 booths. Compared to last year where 311 companies attended. It is predicted to surpass the 2,009 booths which is the highest record from 2015, this year it is expected to reach 2,200 booths by the time the show opens. The attendees include Bandai Namco Entertainment, Capcom, Konami, Nintendo just to name a few, to view full list you can find it on the Exhibitor List. Tickets for the public days have already gone on sale since July 7th, costing 1000 yen. While those who choose the TGS 2018 Supporters Club Tickets will cost 3000 yen and will go on sale on July 22nd 12pm JST. A further sale of tickets will commence on July 28th at 12pm JST. Those who obtain a TGS2018 Supporters Club ticket will also get a t-shirt, pin badge and priority entry to morning door openings. The show will also how an e-sports event, this year they will host Call of Duty WWII Pro Tournament Grand Finals, the Tekken Pro Championship, the Capcom Pro Tour Japan Premier and the Winning Eleven 2019 (Pro Evolution Soccer 2019) TGS Cup. 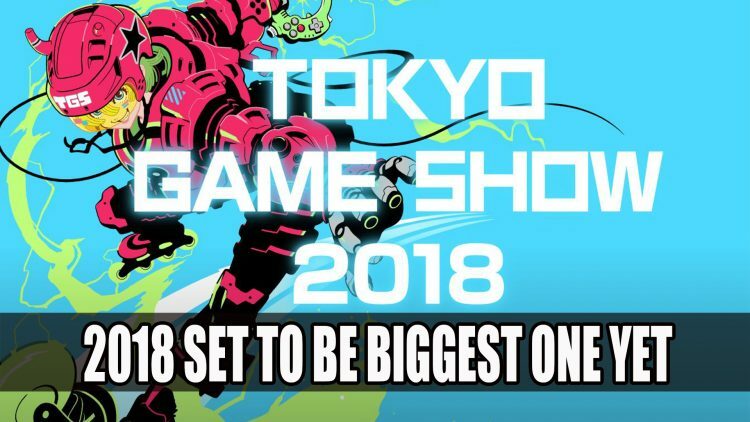 Tokyo Game Show 2018 will take place at Makuhari Messe in Chiba, near Tokyo starting on September 20th until September 23rd. There will only be two days for public attendance, with the first two days open to industry and media attendees. If you enjoyed reading this news check out the latest run down in Top RPG News Of The Week: July 15th 2018 (Elder Scrolls Online, Dead Cells, Monster Hunter World And More).